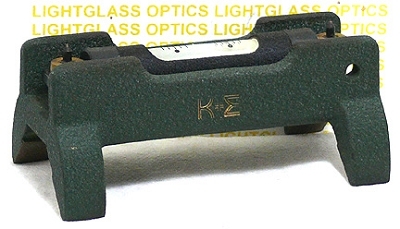 The 71-3215 Striding Level (Tubular Type)has a Vee bottom. This allows it to be used on any tubular surface, but was originally made to be on the barrel of your alignment telescope or alignment collimator with a A.I.A. Standard 2- 1/4" diameter. The level vial can be adjusted, and has a sensitivity of 20 seconds of arc per 2mm of movement.